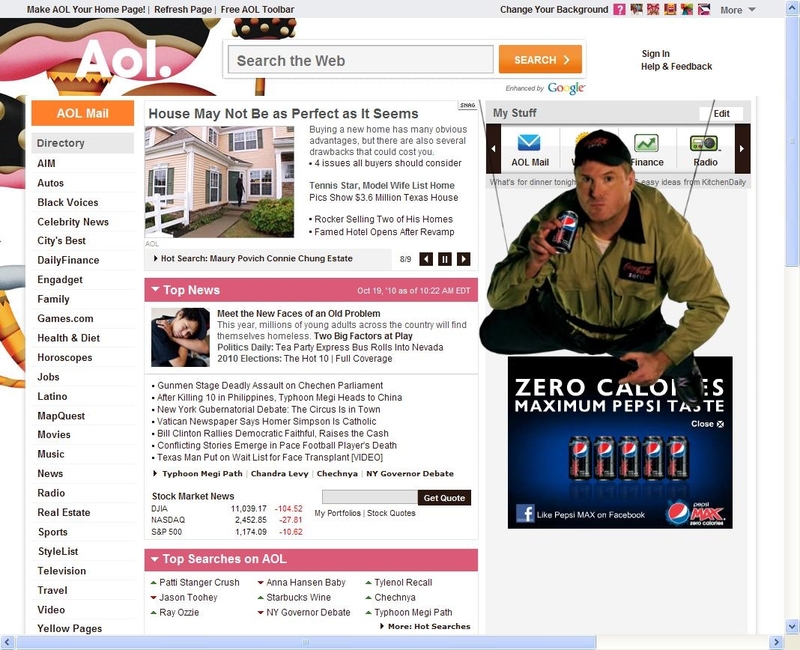 No, Pepsi didn't buy AOL. They just purchased a page takeover unit that's got the Coke delivery guy doing a Tom Cruise/Mission Impossible stealth stunt to check out Pepsi Max. Apparently, he doesn't realize millions of people have access to AOL.com on a daily basis. So much for stealth.